Every registered or taxable person have to file GSTR every month or quarterly. GSTR are segregated in 11 different types which are GSTR 1, GSTR 2, GSTR 3, GSTR 4, GSTR 5, GSTR 6, GSTR 7, GSTR 8, GSTR 9, GSTR 10, GSTR 11. Here we will know the detailed information about what is GSTR 5. The GSTR 5 return filing has to be done by registered but non-resident taxpayers (The one who resides in overseas, has occasional transactions in India, and the one who has no fixed business place. It is a periodic filing. The taxpayer must file information and details of outward supplies and inward supplies. GSTR 5 return form includes expenses and incomes details. GSTR 5 has the detailed information of the registered but non - resident taxpayer, which includes details of the sales and purchase done by him. How To File GSTR 5? As per the GST laws it is mandatory to file GST return periodically by every taxpayer. GSTR 5 filing has to be done by the registered but non-resident taxpayers. 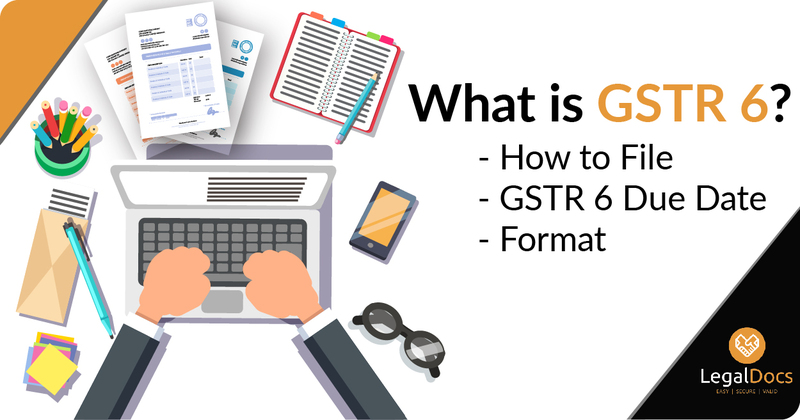 Let us understand how to file GSTR 5 or the procedure to file GSTR 5.
â— Visit the GST portal. â— Select GSTR 5 summary and mention the financial year and return filing period. â— Click on Prepare Online. â— Click on Generate GSTR 5 summary and auto-populated page will be displayed which will have the details of already filed GSTR. â— Fill the details of Inward supplies, Outward supplies, Invoice details, Credit and Debit notes. â— Amend every required details in each tile. â— Recheck the data and submit it in the portal. â— Once submitted you can preview the document and once rechecked generate GSTR 5. GSTR 5 registration is mandatory for the taxpayers who do not reside in India and have occational transaction in this country. GSTR 5 due date is 20th of every month. 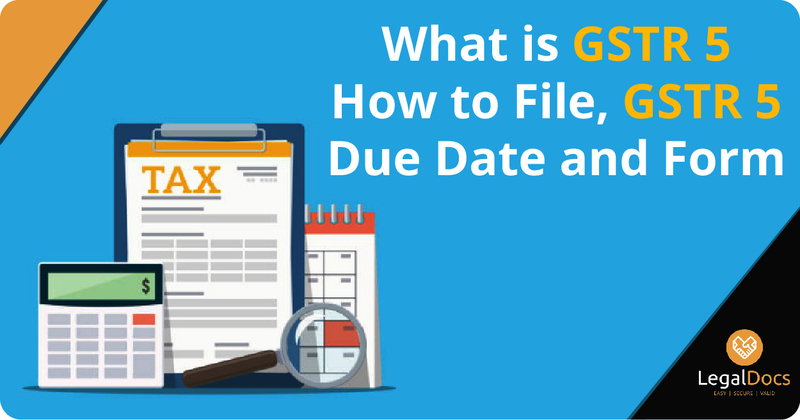 For example, for filing the return for the month of December, the GSTR 5 due date of filing will be 20th January which will be almost a month later. GSTR 5 due date for the month of July 2017 to December 2017 was extended to 31st January 2018. GSTR 5A due dates of OIDAR (Online information and database access or retrieval services) for the month of July 2017 to December 2017 was extended to 31 January 2018.
Who should file GSTR 5? GSTR 5 filing has to be done by registered but non-resident taxpayer in India. There are few terms which specifies about the one who lies in the category of the one who have to file GSTR 5.
â— The one whose transactions are done occasionally in India. â— The one who handles the business from overseas. â— The taxpayer who does not have a specific decided business place. GSTR 5 late fee is Rs. 100 per day per Act. So it is 100 under CGST & 100 under SGST. GSTR 5 penalty total will be Rs. 200/day. The maximum is Rs. 5,000. The GSTR 5 format has the following details included in it such as GSTIN, Name of the taxpayer, Validity of the registration, Input or output capital from overseas, Imported and exported gods from overseas, amendment in earlier details, Taxable outward supplies, Interest or any other tax details, Refund claimed, Credit and Debit entries. 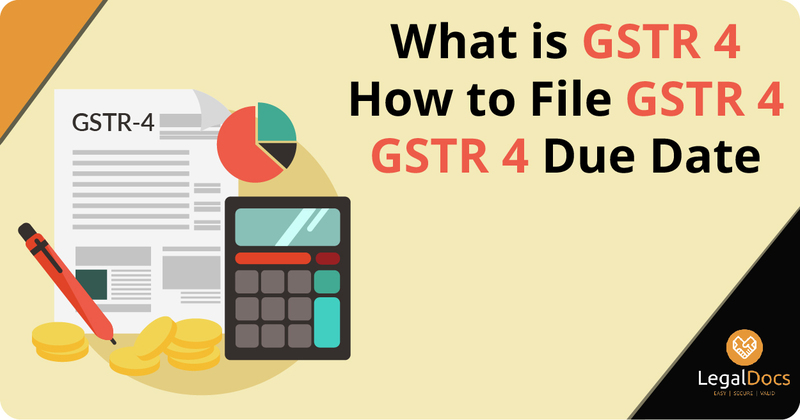 It is also possible to get the GSTR 5 excel format which will help to enter the data in bulk. GSTR 5 form download can be done by clicking below.